The Best Commercial Unit Available - Pamper Customers With Loads Of Legroom! Profusely pamper customers, ensuring they return for more tanning sessions. Elaborate yet not excessive, this model offers one of the largest laying surfaces available on the market today. This means clients will stretch out while they tan, relaxed in perfect freedom with of loads legroom. And the results are equally amazing. This model includes 12 SunFusion lamps designed to tan the face and arms, traditional trouble spots for regular beds. Be efficient! Never change out lamps early! 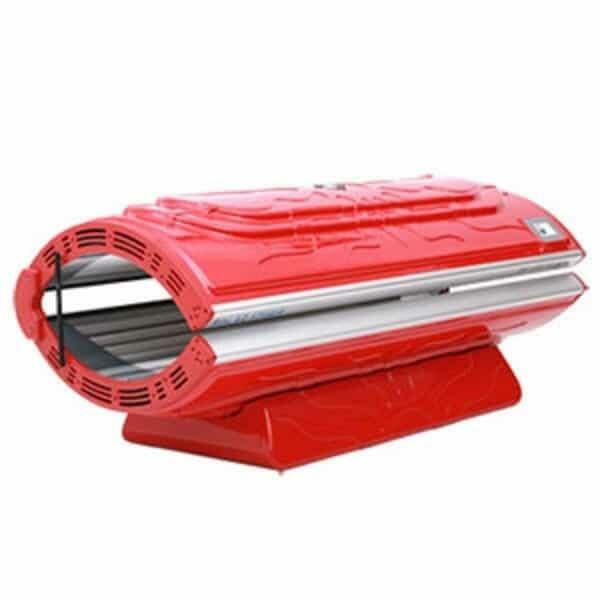 So provide a quality tanning experience, with a commercial option that's easy and economic to own with the Solar Storm 24 Lamp Commercial Bed from Family Leisure!